Very professional, friendly, & efficient. I was very surprised and pleased. All the staff was very friendly. They actually took me in at my scheduled appointment time! Dr. Rita is great! Highly recommend! Best place to get dental work done period! I landed in Kauai with a massive toothache on a Saturday! By Sunday it was unbearable and on the verge of ruining my family's Thanksgiving vacation in paradise. 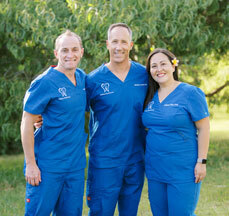 After exhausting all leads, staff at the Grand Hyatt recommended Dr. Michael Lutwin of the Kalaheo Dental Group. I called him (on a Sunday!) and left a message to which he replied immediately! After discussing my problem w Dr Lutwin he was able to recommend a course of action that saved my vacation. He was a Godsend! His expertise and skills in managing my problem were amazing! Im so grateful for him!!! 5 stars plus! AWESOME! EXCELLENT in all perspectives. Great dental care done by the best people! Couldn’t ask for better than Dr. Quade & the staff. & fees for their work is less than anticipated. Am beyond grateful. As someone who is anxious with dentist visits in general, Signe is like a real-life tooth fairy with how gentle and quirky she is with patient education about teeth! Made an appointment with these guys yesterday and the staff were so awesome and kind. Dr. Lutwin was great. They don’t try to talk you into procedures that you don’t really need. His assistant was very sweet and treats you like she’s the one sitting in the chair. Very kind. Dr. Lutwin decides with you not for you a plan of action and stays on point. Not trying to get you to make a lot of choices at once or ones you don’t need. I wish more doctors were like him. The staff was very friendly and helpful the whole time you’re there and you can tell when someone’s faking it. These guys weren’t. Very warm and welcoming atmosphere. I highly recommend. Gentle, caring treatment for my elderly mom. Thank you all for making a rather stressful situation a pleasant one. My family and I all go to Kalaheo Dental Group. Dr. Michael Lutwin is a wonderful dentist - always very reassuring and calming, especially with my children. 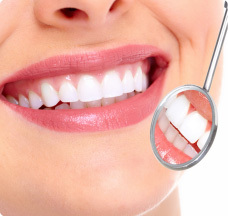 The hygienists are excellent and the front staff very welcoming and friendly. I feel that they all go out of their way to make going to the dentist a pleasant experience. If you need quality dental care with professional people who care about your needs, this is definitely the place to go. Dear Dr. Michael and "Ladies". We SO appreciate all of you and everything you do to keep us healthier!!! Congratulations and WAY TO GO! Aloha. 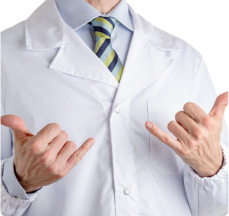 Aloha Dr. Lutwin! I can't thank you enough for helping me through another tooth "episode". 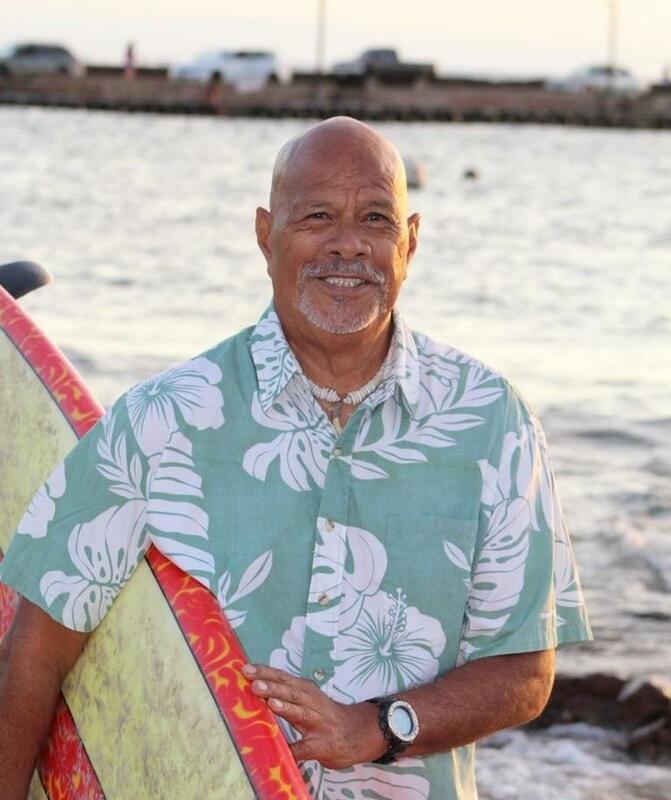 Your skills, knowledge, experience, and heartfelt empathy are greatly appreciated and duly noted :) Being a youthful, healthy surfer serves you well! 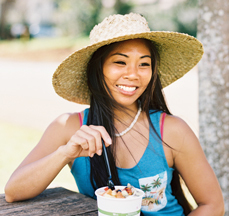 Mahalo, mahalo to you and your wonderful crew that provide such a safe haven in which to find our way to improved health. Best wishes! A fan club member, Peace and Palm trees....Patty M.
The entire staff at Kalaheo Dental Group is great to work with - very nice and accommodating. My wife and I were visiting Kauai from North Carolina and ran into an issue with an implant and they made us feel right at home. We read the reviews that others had written and matched them up with our insurance provider and quickly left for their office. Once we arrived, they addressed us very quickly and immediately brought my wife back to begin working on her tooth. This completely saved the remainder of our trip! I would HIGHLY recommend Kalaheo Dental Group and Dr. Quade to anyone - local or visitor! I love Kalaheo Dental Group. Whenever I'm on island, I have my mom set up my appointments before I arrive as she works there, Margaret (the most energetic hygienist you'll ever meet). When I come in, I feel like I'm at home - the front desk ladies, Jenny and Heather, always greet me with a big smile and hug, and don't hesitate to ask about my well being before throwing me into the chair. I'm not scared of the dentist, but between Dr.Lutwin, my mom, the front desk gals, and the rest of the team - I'm actually excited to get my teeth cleaned! I Had a Dental Emergency While Visiting Kalaheo. I had a dental emergency while visiting Kalaheo. One phone call, an immediate appointment from a compassionate professional staff set me up to ease my pain and plan for future treatment upon arriving home. Dr Lutwin made all the difference in enjoying the rest of my time in Kauai. I'm so grateful to him and his staff. I feel very fortunate to have found this office on line and had the care they provided-the best! Dr. Lutwin at Kalaheo Dental clinic has changed my whole impression and experience about dentists. Going to a dentist had always been my most fearful moment in my life until I met Dr. Lutwin. First of all, the office really cares about patients! They took me in although they were fully booked with their appointments of the day. Unlike some of the other dentists, he was very kind, calm and carefully listened to what I had to say about my symptoms. He explained to me what was going on my tooth, what he was going to do to treat it, then never forgot to communicate with me during the treatment. Thanks to that, I had NO pain, No fear, No anxiety during and after the treatment. Now, I cannot go any other dentist but to him. Dr.Lutwin is truly THE BEST DENTIST ever!! Thank you, Kalaheo Dental Clinic! Incredibly awesome staff and genuinely caring with excellent service and client care. Mahalo, Bernie. The staff at Dr. Lutwin's office is above and beyond spectacular and always make me feel better with their wonderful smiles and awesome treatment.